It's not often that I get to showcase some stellar hair accessories on the blog, and for that reason I couldn't wait to get this post live! 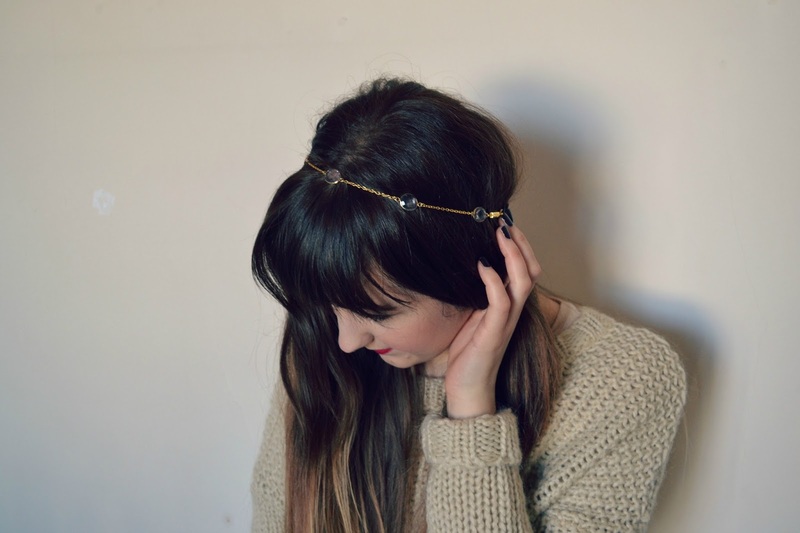 I got in touch with a brand from across the pond, Dauphines of New York, who create incredibly beautiful, luxury statement hair accessories and they kindly sent me over one of their pieces to style. Dauphines of New York specialise in the luxury accessories market and as such they utilise raw stones and swarovski crystals in their intricate designs. 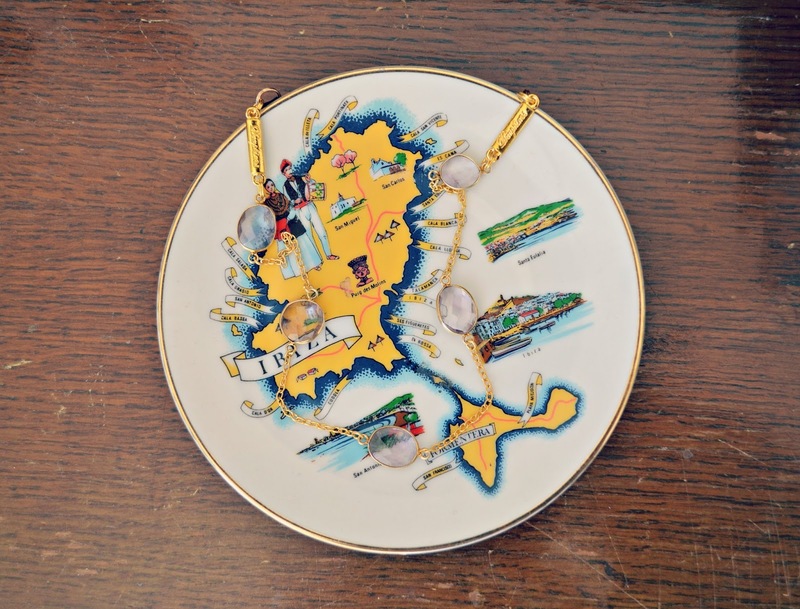 What makes these pieces so special is that they can be worn as either headbands or necklaces, as the elastic strap that secures the band to the head is fully adjustable with a sliding clasp. 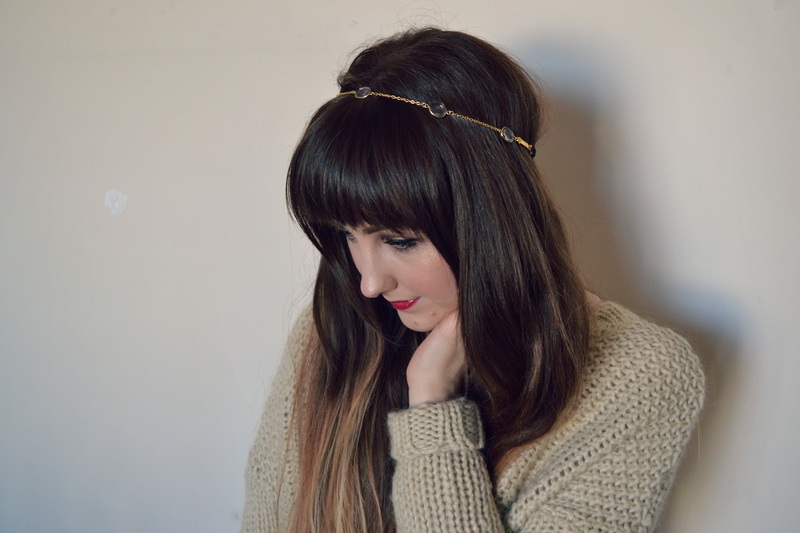 I think this feature is wonderful; having a fringe, I love to wear headbands such as this but all too often, they are too tight which always gives me a headache! The Dauphines of New York range are not only incredibly comfortable, but they are also secure and stay in place easily on the head. 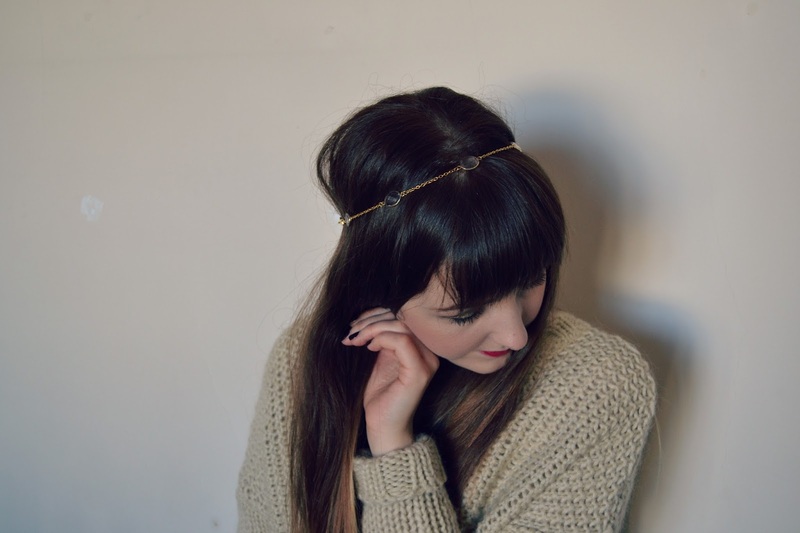 I love the simplicity of this headband, which is from the 'Band of Gold' range. It can easily be dressed up or down; with an evening outfit for a touch of glamour or in place of a necklace with a jumper and skinny jeans. I went for this really elegant pale lilac shade which will be perfect for all year round. There are so many other colours and styles available on the website, you can view them all here.